In 1968, two of golf’s fledgling superstars converged on Hilton Head, SC, to discuss designing a new 18-hole course. One phenom was at the beginning of his Hall of Fame architectural career. The other was making headlines as golf’s hottest new superstar. When Pete Dye and Jack Nicklaus met with Sea Pines Resort’s real estate developer Charles Fraser to discuss plans for what would be Harbour Town Golf Links, both had yet to gain national acclaim as course designers. At the time, Dye had designed fewer than a dozen of his eventual 100 plus golf courses. During this Hilton Head meeting of the minds, Nicklaus had yet to design even one of his now 410 courses worldwide. Fraser, a real estate visionary and the pioneer of planned community development, was eager to attach Nicklaus’ name to his new golf course. At the peak of his golf game and earning power, the then 28-year-old Nicklaus told Fraser he would assist with the project, but that the innovative Dye should be the person to orchestrate what would become one of the top layouts on the planet. 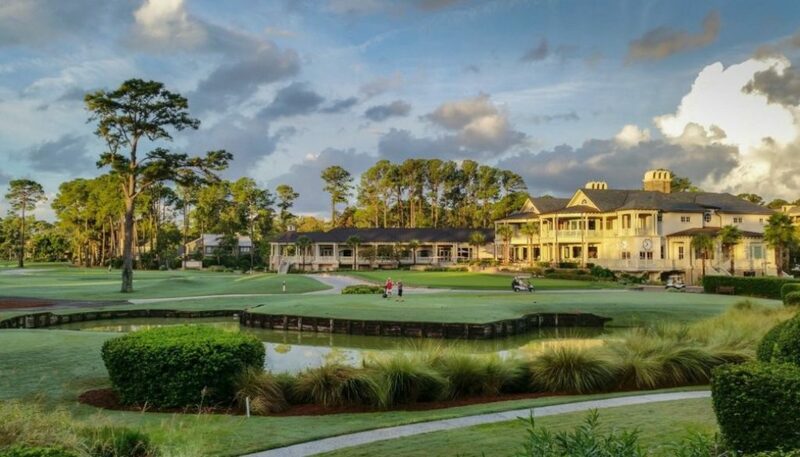 Dye, Fraser, Harbour Town, and Sea Pines Resort aligned to evolve into one of golf’s most enduring love affairs. Dye took what he learned during a seven month visit to Scotland and incorporated these across the pond elements into Harbour Town’s design. Scotland‘s impact on Dye’s South Carolina masterwork is evident in touches that include pot bunkering, swollen contours, and configuring massive oak trees into a golf journey holding an architectural vice grip on shot making. When Harbour Town debuted on the PGA Tour in 1969, Heritage Classic winner Arnold Palmer discovered a petite 6,600-yard layout that featured narrow fairways, hanging trees, and a design element that would become a Pete Dye trademark, railroad ties buttressing sand traps. 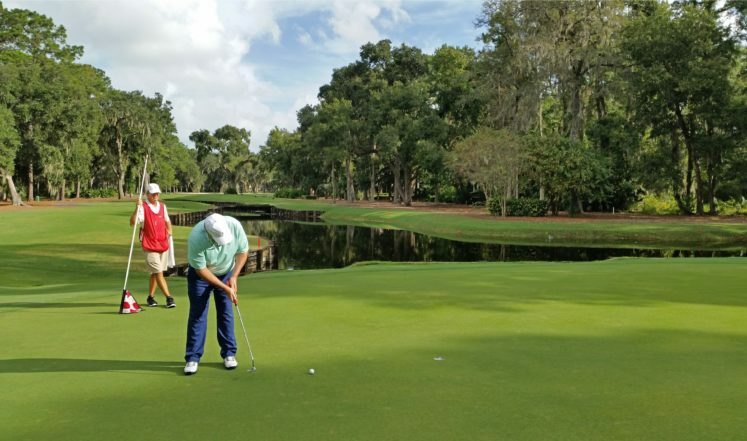 Fast forward to a half century later, and Harbour Town continues to earn the respect of the best tour players, as well as a far-reaching amateur audience seeking a bucket list experience. Unlike many golf tracks that have gone long to combat missile-launching drivers and techno-infused golf balls, Harbour Town has flourished by literally staying the course on Dye’s mantra which places a premium on positioning and next shot anticipation. Today’s Harbour Town thrives as one of the toughest tests on the PGA tour. 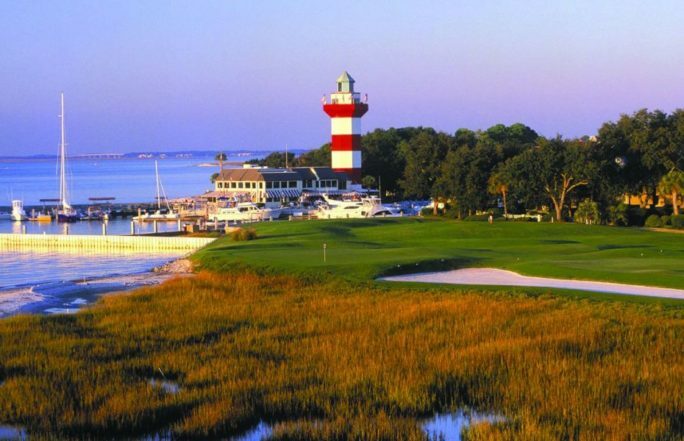 Decades of national television coverage and rave reviews from professionals and amateurs alike have transformed Harbour Town and its sister courses Atlantic Dunes and Heron Point into a golf haven welcoming almost 3 million visitors annually. One of the ultimate tributes to Harbour Town is that generations of professional golfers have stepped forward to request that Dye’s creation resist changing its look, feel, and challenge. 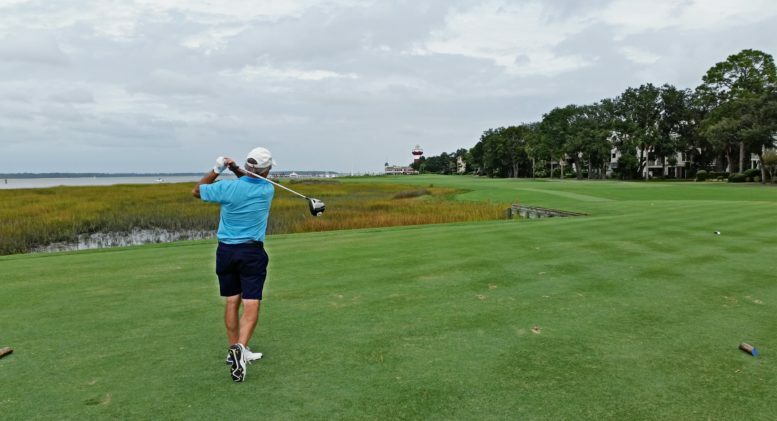 Director of Golf John Farrell and Superintendent Jonathan Wright take immense pride in keeping Harbour Town’s conditions, pace of play, and true greens intact for a layout that now plays at 7,099-yards from the tips. 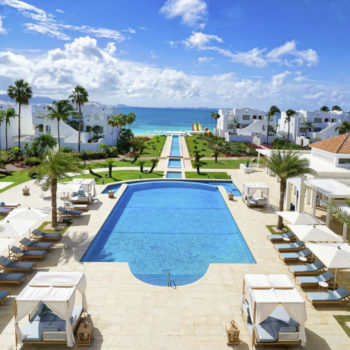 Bigger isn’t necessarily better for this fan favorite boasting RBC Heritage Tournament greens that are the smallest on the PGA Tour. 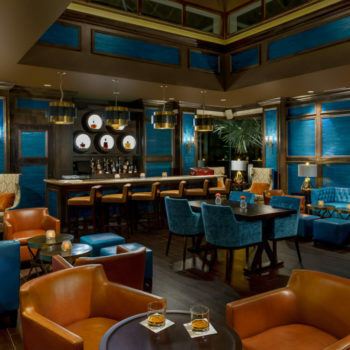 One of the best ways for a newcomer to experience Harbour Town is to tap the services of a forecaddie. The forecaddie offers uber insights into strategic shot making, as well as the ability to track down your shots on the fly. 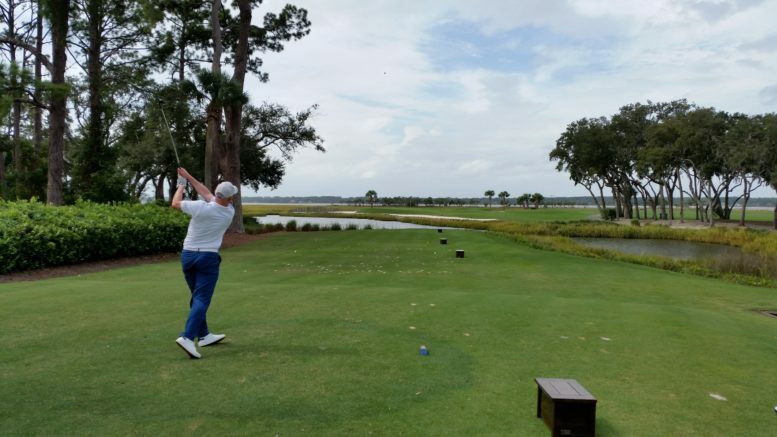 A Harbour Town forecaddie assists each player in your group with precise yardages, what to avoid from a landscape standpoint, and expert green reading. Once you’re ready to roll on the 392-yard, Par 4 first hole, it’s time to get inside the mind of Mr. Dye and embrace the challenge of taking on this South Carolina Lowcountry tradition. 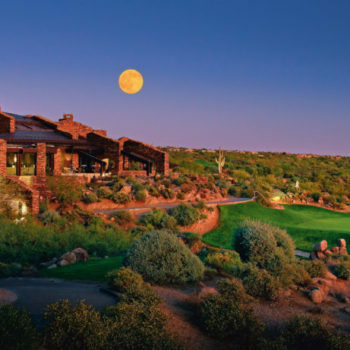 The smart golfer realizes that a bombers ego should be parked back in the iconic clubhouse. 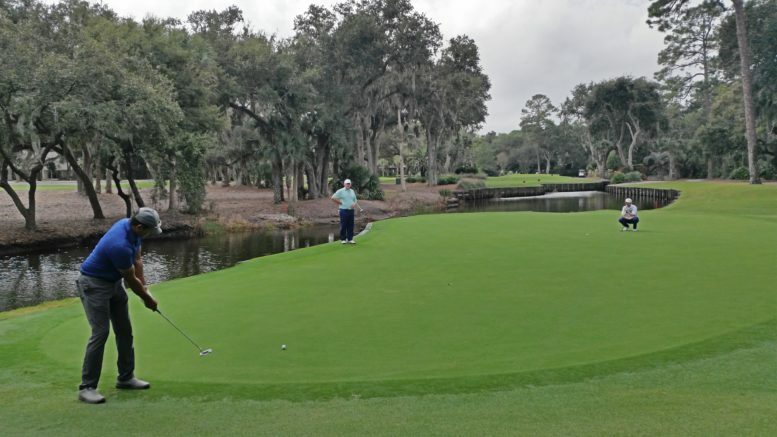 A more forward-thinking strategy means avoiding surprise second shot obstructions like an imposing Spanish Moss tree branch, the wrong angle to a guarded green, or even the occasional alligator frequenting Harbour Town’s plentiful ponds and lagoons. You can almost hear the imposing soundtrack from the movie “Jaws” emanating from the Atlantic Ocean as you prepare for Harbour Town’s final six holes. On the Par 4, 373-yard 13th, Dye ups his game by deferring to Alice, his wife and alter ego, in the design of a dogleg left that precedes a huge horseshoe sand trap that encompasses an elevated green. 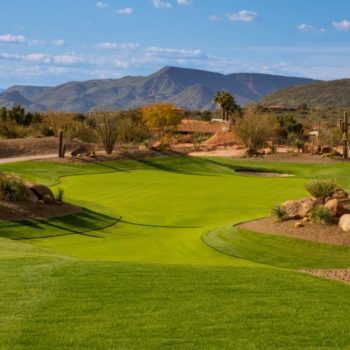 For the bold or perhaps crazy golfer who chooses to play the Par 3, 192-yard 14th hole from the tips, realize from this distance you are contending with one of the hardest holes on the PGA tour. This is an all-carry shot over a lagoon with a slight bail out area to the left. The 14th approach culminates with a postage stamp green featuring a severe drop-off to the water on the right. 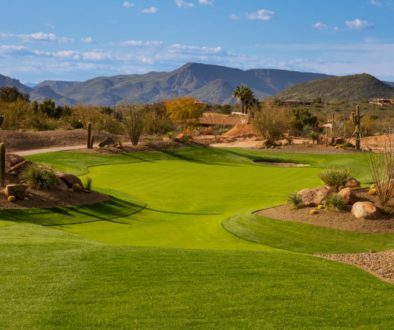 The Par 3, 174-yard 17th hole is like stepping into the Weather Channel’s version of golf. That’s because the wind is suddenly supercharged off the waters of the Calibogue Sound. 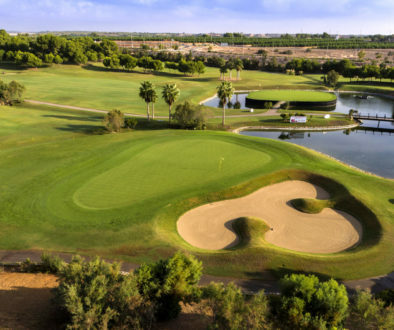 The visual of the water and sand combined with the schizophrenic wind plays mind games on golfers trying to gauge the proper distance. Lean on your forecaddie for selecting the proper club, and then trust your swing. That brings us to the Granddaddy of South Carolina golf, the Par 4, 472-yard 18th hole. From the tee box you can see the 90-foot red and white striped lighthouse towering to the right of the green. 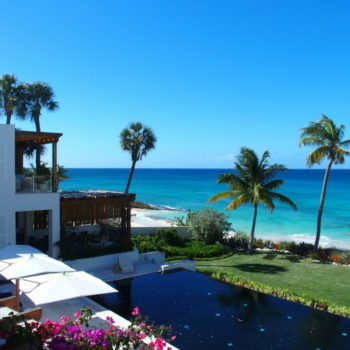 To the left you see the ocean. 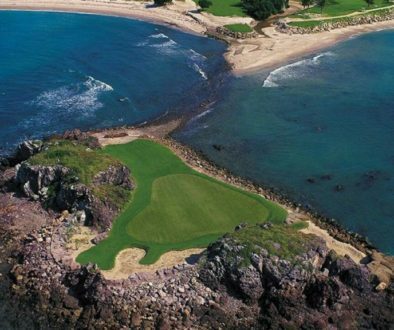 Look straight right and you’ll drool at the widest fairway on the PGA Tour. A fat fairway feeling of relief is exactly what Dye had in mind about the time he places the hook in your mouth. That’s because relief evaporates in an instant when viewing your second shot to the 18th green. This narrow window is enveloped by a tier of sand traps, followed by rows of native marshes, and then ocean. This switch from good Pete to bad Pete grips even the steeliest golfer’s nerve on this treacherous iron shot. After you putt out, realize that a legion of golfers before you have stopped to photograph the 18th flag with the candy-striped lighthouse in the background. This selfie moment is something you’ll share with golfers through the ages. The 18th at Harbour Town is the exclamation point following the signature on one of the game’s legendary courses. You’ve added your own page to a story written by two stars that were born during a 1968 meeting of the minds.